Hero Karizma ZMR is BACK: All you need to know! Finally, we have got confirmation from a local dealer that the Hero Karizma ZMR motorcycle has actually gone on sale again. The price of the new Hero Karizma ZMR is Rs 1.24 lakh (on-road, Gurgaon). Also, the company has listed the ex-showroom price of the single-tone variant as Rs 1,08,000. The dual-tone variant costs Rs 1,10,500 (ex-showroom). Going by the last month’s two-wheeler sales figures, Hero MotoCorp even sold 12 units of the 2018 Karizma ZMR. It’s noteworthy here that Hero MotoCorp displayed the Karizma ZMR earlier this year at the Auto Expo 2018. The Karizma even resurfaced on the company’s official website recently. 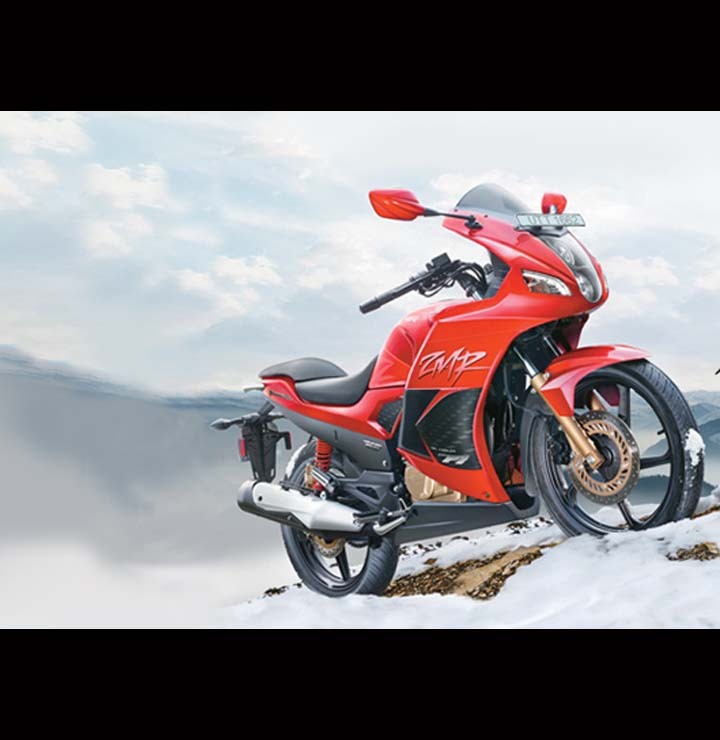 The Hero Karizma, which was earlier sold under the Hero Honda umbrella, was responsible for bringing a lot of popularity to the 200-cc plus faired bike segment. The Karizma was first launched in India in 2003 and was promoted as a ‘premium sports’ offering. Basically, the Karizma shared in plenty with the Honda CRF230F but came with a front fairing that gave the motorcycle the proverbial ‘big bike’ feel. The Karizma also got the ZMR variant, which was a fully-faired version with fuel-injection and oil cooling. The ZMR was quick to gain popularity among the young motorcycle buyers owing to its sporty design. The motorcycle also became quite popular among the long-distance riders due to its high refinement levels, comfortable ergonomics, and reliable mechanicals. However, popularity fell drastically with the advent of more modern motorcycles. Finally, the Karizma twins (R & ZMR) were discontinued in 2016. Now, however, we have got to know that the company has relaunched the Karizma ZMR. The 2018 Hero Karizma ZMR doesn’t get any changes in its specs. Akin to the earlier model, the re-launched ZMA gets its juice from a 223-cc, single-cylinder engine that outputs a max. power of 20 bhp at 8,000 RPM and a peak torque of 19.7 Nm at 6,500 RPM. The motorcycle offers a claimed top speed of 129 kmph. The ZMR offers a disc brake at both front and rear wheels. However, there’s no ABS on offer, not even as an optional extra. The motorcycle gets conventional telescopic forks up front and gas-charged shock absorbers at the rear. We feel that it will be really very interesting to see if the re-launched Hero Karizma ZMR can make a dent in the popularity of its more modern rivals.